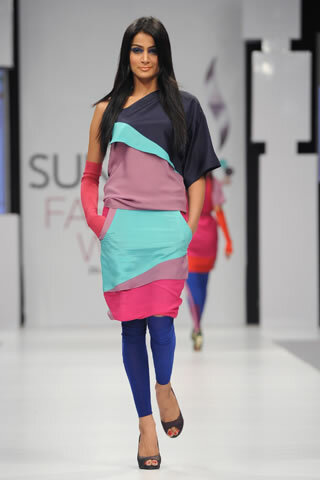 Fashion, a general term for a currently popular style or practice, especially in clothing, foot wear, or accessories. 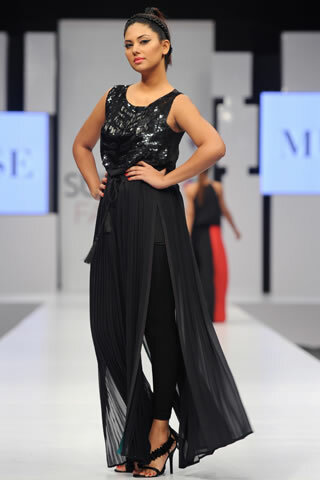 Fashion Show is the place where these people showcase their designed work in their own unique way. Fashion designers create/generate some Fashion statement, and Fashion models represent that statement in another interesting but effective way. 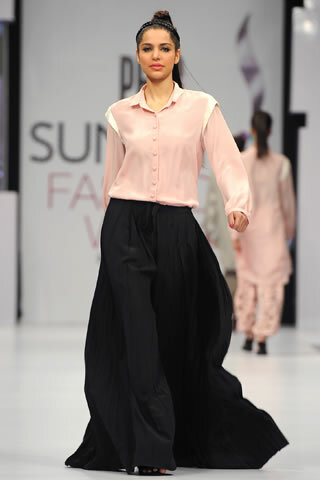 PFDC was established in September 2006 with an initial membership of 30 designers, and now comprises more than 50 designers from all over Pakistan. The Council consists of 22 board members; of these, six are corporate members and the rest are designers. 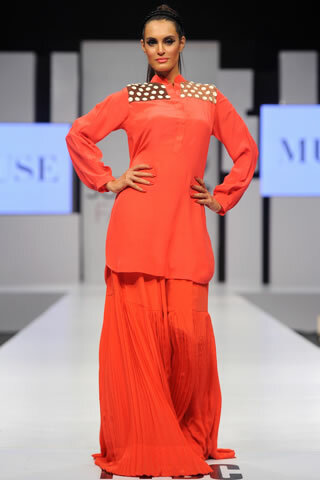 Pakistani clothes are being highly stylized by our latest designers and stylist. 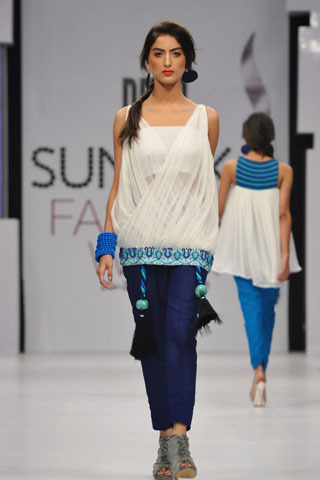 The Karachi fashion week 2012 was primarily focused on promoting Pakistan’s fashion, textile and apparel industry and highlighting the works of the expert fashion designers of the country. Here, we have collected 25 most magnificent and eye-catching dresses for you. We are quite sure that you will like theses impressive collection. Let’s have a look at these photos in detail.